Ricco has a lifelong passion and talent for creating art. Originally from northwest OH, he went on to graduate from the University of St. Francis, with a Bachelors of Art degree. He was inspired to begin a career in tattooing while living in San Diego, California. Ricco traveled the west coast tattooing in numerous cities to perfect his techniques. He then relocated to Fort Wayne in 2009 to dedicate his artistry to tattooing. 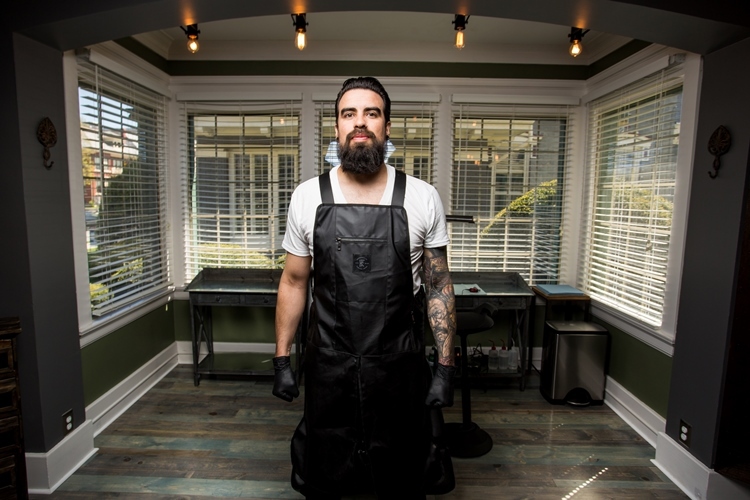 With his personal style and perspective in mind, Ricco worked over 10,000 hours tattooing, creating, and innovating his portfolio. Defining his Diamante tattoo brand with detail and realism, each client is able to have a truly unique tattoo from his creative process and design work.